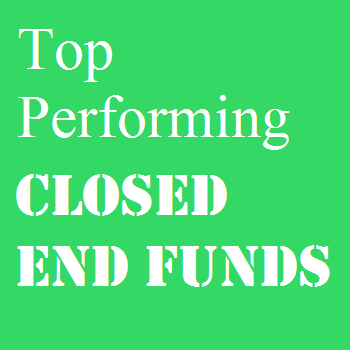 Find best performing closed end funds 2013. The top CEF funds are H&Q Healthcare Investors fund, Gabelli Multimedia Trust fund, etc. 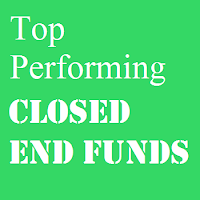 Closed end funds are traded like stocks and/or exchange traded funds (ETFs). These funds provide opportunity for investors to diversify and invest in variety of stock or bond funds. The fund’s market price can be traded at discount or premium to its NAV (Net Asset Value). Some funds also provide high yield or dividend for income. Find the top funds review below. I provide the top 10 list below. 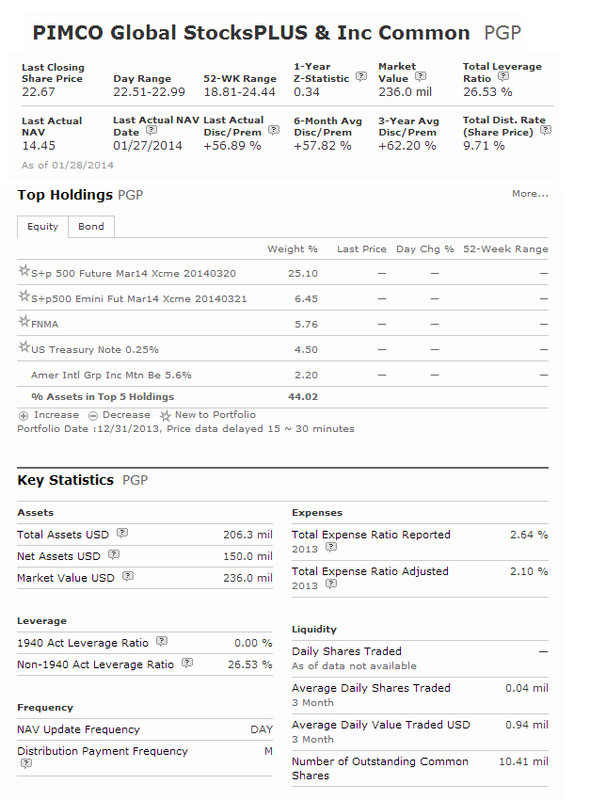 You can also find the fund information, performance, expense ratio, holdings, dividend or yield, and more. The top funds include sector fund, option strategy fund, Europe stock fund, high yield bond fund, etc. 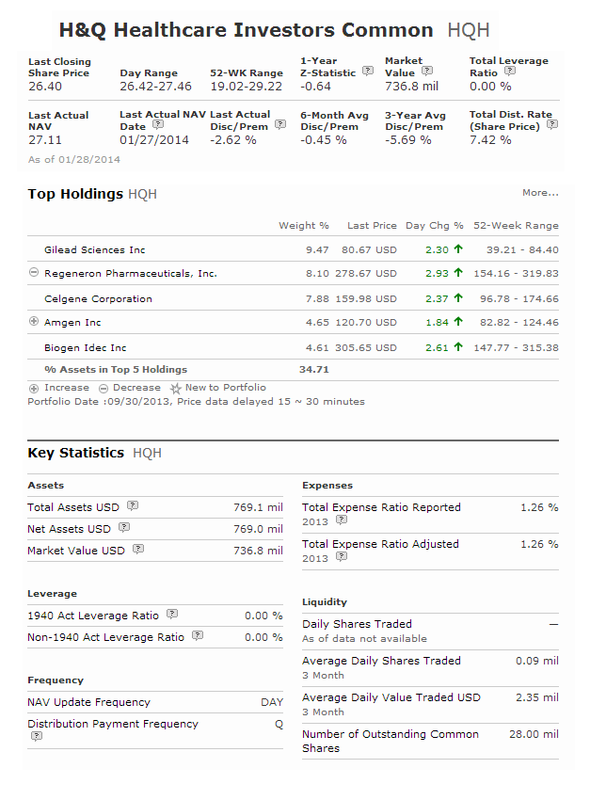 H&Q Healthcare Investors fund objective is to achieve long term capital growth. This CEF fund invests mainly in healthcare and medical technology firms, securities with legal restrictions to resale (such as private equity) and in foreign securities. Its total net assets are $717 million. The total expense ratio fee is 1.25%. For the past 12 months, the share price has been ranging between $17.00 and $26.30. The current share price is $26.19. This sector stock fund has a high yield of 7.75%. This closed end fund has returned 37.71% over the past 3 years, and 30.65% over the past 5 years. The YTD return is 63.22%. The top 5 stocks in its portfolio are: Gilead Science In, Regeneron Pharmaceuticals Inc, Celgene Corporation, Amgen Inc, and Biogen Idec Inc.
Ranked with 3 stars rating, Gabelli Multimedia fund has performed well in 2013. It has returned 55.09% in 2013. The fund manager is Mario J. Gabelli. This equity fund utilizes its assets to purchase companies which create and distribute intellectual property rights. Its distribution rate is high at 11.28%. The top 3 stocks in its portfolio are Liberty Capital Corp, Directv Group Inc, and Grupo Televisa SA ADR. The top 3 country allocations are USA, European Developed, and Latin America Region. PIMCO Global StocksPLUS & Inc fund is a non-conventional stock CEF fund. Managed by Daniel J. Ivascyn, it invests most of assets in equity index derivative instruments based on the S&P500 and MSCI EAFE Indices and through utilizing an options strategy. The expense ratio fee is high, 2.62%. It also has a high yield of 9.60%. Morningstar has ranked this equity fund with 5 stars rating. The current market price of this CEF fund is traded 5758% premium to its NAV. This fund has a high risk and high return opportunity. For the past 3 year, it has an annualized return of 11.96%. The top 3 sectors are mortgage backed securities (43.74%), corporate debt (34.44%), and agency bond (12.54%).